Often, pest control technicians don’t know whether they are dealing with house mice or deer mice in an account. 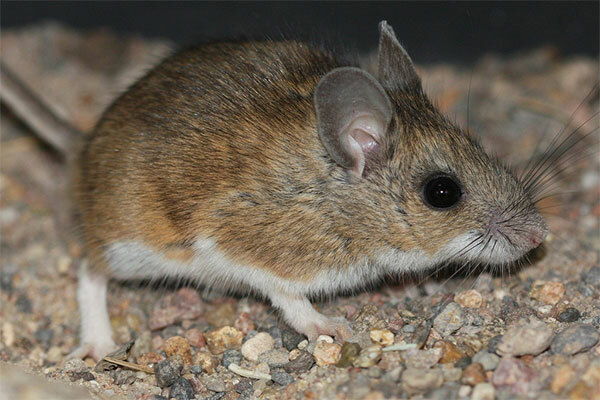 While the house mouse occupies urban areas, the deer mouse is more common in rural or semi-rural areas. It is important to know the difference if you live in areas that have a history of Hantavirus cases. The deer mouse, Peromyscus maniculatus, often referred to as a white-footed mouse, is the most abundant and widely distributed mammal in North America. A member of a large group of species and subspecies of the genus Peromyscus, deer mice are very proficient jumpers and runners that received their name due to their agility. Almost all of them have characteristic white undersides, legs, and feet and dark to light brown backs. Their tail is bicolored, with white on the bottom and the darker color on top. Deer mice that live in woodlands are typically larger and have larger tails and feet than deer mice that live in prairies. Deer mice are a particular concern because they spread hantavirus, which can be deadly to people. Because deer mice prefer forests, grasslands, and agricultural crops, they aren’t normally found within urban and residential areas unless fields, forests, or other suitable habitats surround those areas. The deer mouse is found in all types of habitats including forests, grasslands, scrublands, and agricultural lands. Deer mice are nocturnal and spend the day in refuges or nests. Nests consist of stems, twigs, leaves, and roots of grasses and other fibrous materials and may be lined with fur, feathers, or shredded cloth. Nest sites include tree hollows, stumps, and roots as well as the underside of rocks and logs. Deer mice also nest above ground and have been known to utilize abandoned squirrel and bird nests or nest inside buildings. Deer mice don’t hibernate, but they may become dormant (torpid) when the weather is especially severe. They nest in family groups throughout the winter. Deer mice are predominantly granivorous, feeding on a range of seeds. However, they will also consume fruits, invertebrates, fungi, and to a lesser extent green vegetation. Deer mice are often known to cache their food and store some of their food near their nests, especially in autumn when foods such as tree seeds and nuts are most plentiful. Deer mice don’t usually breed during winter. However, the chronology and duration of breeding varies within and between populations. In the presence of abundant food supplies, reproduction can be prolonged and mice can breed over winter. In warm regions, reproduction may occur year-round. Litter size is typically between three and six young. Female deer mice can be reproductively active as early as six weeks of age. In the wild, deer mice rarely survive for more than two years. Because of their small size, deer mice can gain entry into many buildings and often enter vacated homes, cabins, and other structures where they build nests and store food. Deer mice damage upholstered furniture, mattresses, clothing, paper, or other materials they find suitable for constructing their nests. 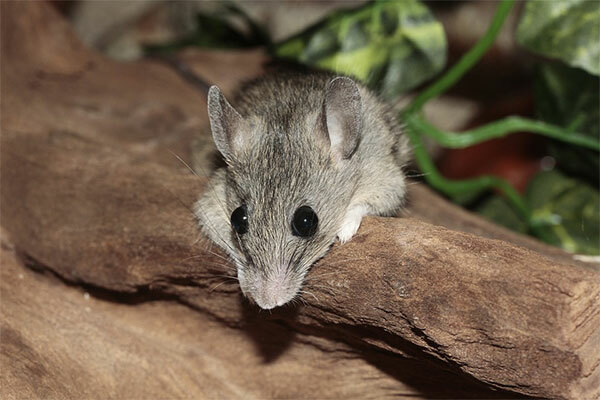 Nests, droppings, and other signs left by deer mice are similar to those of house mice. However, deer mice have a much greater tendency to cache food supplies such as acorns, seeds, or nuts than do house mice. This may help in the identification of the species of mouse responsible for the observed damage. 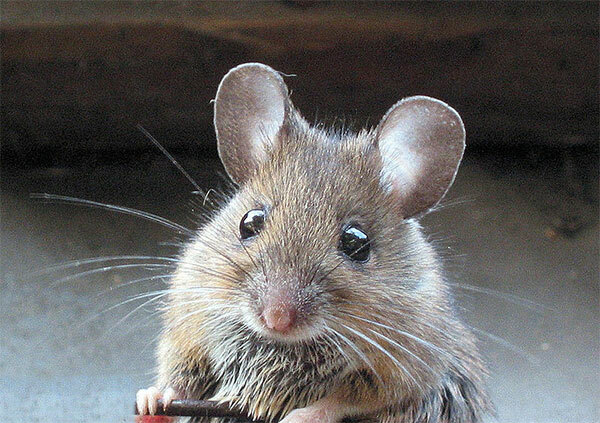 This cute-looking rodent is the primary carrier of hantavirus in the U.S. Hantavirus is transmitted primarily through the inhalation of contaminated air as well as through contact with mouse urine, feces, saliva of infected rodents. While it has "house" in its name, this species of mouse is often called a field mouse because, when it isn't living with humans, Mus musculus can be found in fields and prairies. But, this is a creature that prefers to live off the generosity of humans, and this brings them into man-made structures. Once inside, they are happy to stay. House mice have relatively large ears and small, black eyes. 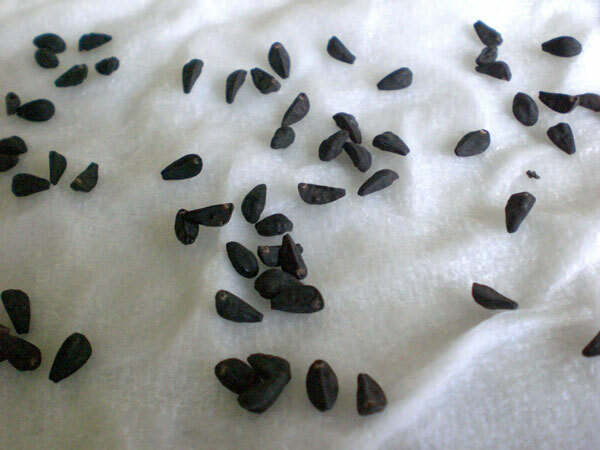 They weigh about 1/2 ounce and usually are light brownish to gray. An adult is about 5 to 7 inches long, including the 3- to 4-inch tail. Mice commonly damage containers and packaging materials in warehouses where food and feeds are stored. Much of this loss is due to contamination with droppings and urine, making food unfit for human consumption. House mice cause structural damage to buildings by their gnawing and nest-building activities. House mice often make homes in large electrical appliances, and here they may chew up wiring as well as insulation, resulting in short circuits which create fire hazards or other malfunctions that are expensive to repair. Mice may also damage stored items in attics, basements, garages, or museums. This disease occurs throughout most of North and South America. Not all rodents carry hantavirus and there is usually no way to tell when a rodent has the virus. So, it is wise to avoid all contact with rodents when possible. Though rare, it is severe, and sometimes fatal, respiratory disease. The disease spreads by breathing in dust that is contaminated with rodent urine or droppings, or direct contact with rodents or their urine and droppings, or bite wounds, although this does not happen frequently. Early symptoms include fatigue, fever and muscle aches, especially in the large muscle groups—thighs, hips, back, and sometimes shoulders. About half of all HPS patients also experience headaches, dizziness, chills, and abdominal problems, such as nausea, vomiting, diarrhea, and abdominal pain. A house mouse has a pointed nose, beady black or pink eyes, small rounded ears, and a long, hairless tail, and comes in variety of colors: tan, brown, black, grey, and white. Four to 10 days after the initial phase of illness, the late symptoms of HPS appear. These include coughing and shortness of breath, with the sensation of, as one survivor put it, a "...tight band around my chest and a pillow over my face" as the lungs fill with fluid. The bacteria that cause leptospirosis are spread through the urine of infected mice, which can get into water or soil and can survive there for weeks to months. Many different kinds of wild and domestic animals can carry the bacterium. Contact with urine (or other body fluids, except saliva) from infected mice. Contact with water, soil, or food contaminated with the urine of infected mice. Lymphocytic choriomeningitis, or LCM, is a rodent-borne viral infectious disease caused by lymphocytic choriomeningitis virus (LCMV), a member of the family Arenaviridae, that was initially isolated in 1933. The primary host of LCMV is the common house mouse, Mus musculus. Infection in house mouse populations may vary by geographic location, though it is estimated that 5% of house mice throughout the United States carry LCMV and are able to transmit virus for the duration of their lives without showing any sign of illness. LCMV is most commonly recognized as causing neurological disease, as its name implies, though infection without symptoms or mild febrile illnesses are more common clinical manifestations. For infected persons who do become ill, onset of symptoms usually occurs 8-13 days after exposure to the virus as part of a biphasic febrile illness. This initial phase, which may last as long as a week, typically begins with any or all of the following symptoms: fever, malaise, lack of appetite, muscle aches, headache, nausea, and vomiting. Other symptoms appearing less frequently include sore throat, cough, joint pain, chest pain, testicular pain, and parotid (salivary gland) pain. Following a few days of recovery, a second phase of illness may occur. Symptoms may consist of meningitis (fever, headache, stiff neck, etc. ), encephalitis (drowsiness, confusion, sensory disturbances, and/or motor abnormalities, such as paralysis), or meningoencephalitis (inflammation of both the brain and meninges). LCMV has also been known to cause acute hydrocephalus (increased fluid on the brain), which often requires surgical shunting to relieve increased intracranial pressure. In rare instances, infection results in myelitis (inflammation of the spinal cord) and presents with symptoms such as muscle weakness, paralysis, or changes in body sensation. An association between LCMV infection and myocarditis (inflammation of the heart muscles) has been suggested. LCM is usually not fatal. In general, mortality is less than 1%. There are more than 30 known species of mice. A mouse eats 15 - 20 times a day. Therefore they usually build their homes close to food sources, tending to only travel up to 8 m from their burrows to find food. Mice are keen explorers. They find inventive ways of feeing satisfying their curiosity to investigate such as Mice squeezing through openings as small as the size of a dime. This means that a small crack or opening on the exterior of your home (such as where utility pipes enter) is like an open door for mice. Prevent mice from gaining access to your home by sealing any openings on the exterior with a silicone caulk. You can also fill gaps and holes inside your home with steel wool. Mice are incredibly clean, tidy and organised. Within their intricate underground homes they have specific areas for storing food, going to the toilet, and for shelter. Mice like to stay close to their home and usually only venture up to 3-8m away from their nest in search of food. Whiskers help mice to sense smooth and rough edges, temperature change and breezes. Mice have great balance and can walk along very thin pieces of rope or wire. They can even scale rough vertical surfaces.